Awarded an Imagery Grant from the GeoEye Foundation. 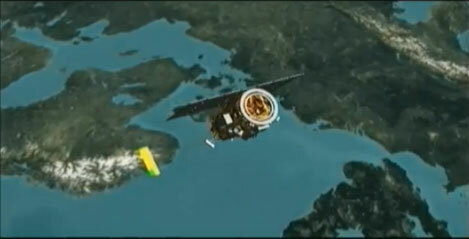 I am very pleased to announce that the GeoEye Foundation has approved my grant application. In August I submitted a proposal and request for several high resolution images of Yucca Flat for use in my project, not just for the archive online but for the ways I plan to extend the project as an exhibition. In an earlier post I described how difficult it was to narrow down my list of requested images to a recommended 5–7 images. The Foundation has generously awarded me six of those seven. 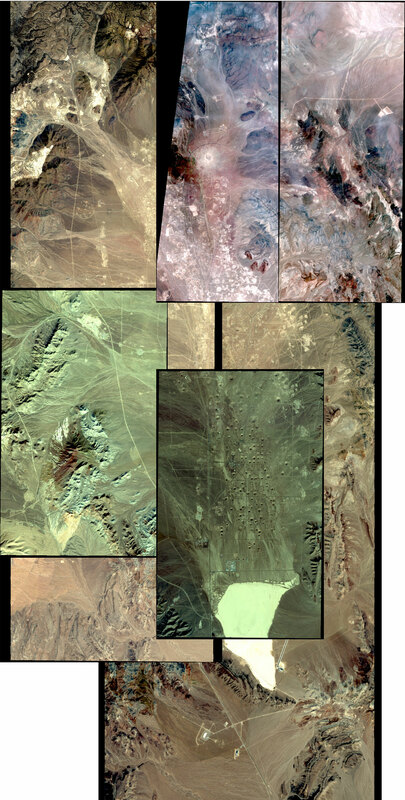 Here are the images they gave me, roughly tiled together to show Yucca Flat valley. I can now make use of higher quality imagery (better than my web capture views) that provide much more detail of the landscape. “The GeoEye Foundation is a not-for-profit philanthropic organization headquartered in Herndon, Virginia, focused on fostering the growth of the next generation of geospatial technology professionals. The Foundation provides satellite imagery to students, educational institutions and non-governmental organizations to advance research in numerous fields including human rights, defense and intelligence, public safety, healthcare, critical infrastructure, energy, environmental change and archeology. The Foundation believes that through observation comes awareness, and from awareness comes action. If you would like to read more about other recipients of this kind of grant, click here. If you are interested in how geospatial technology and mapping is used by the government and industry, and have also always wondered how satellite imagery is created, check out GeoEye’s video gallery. 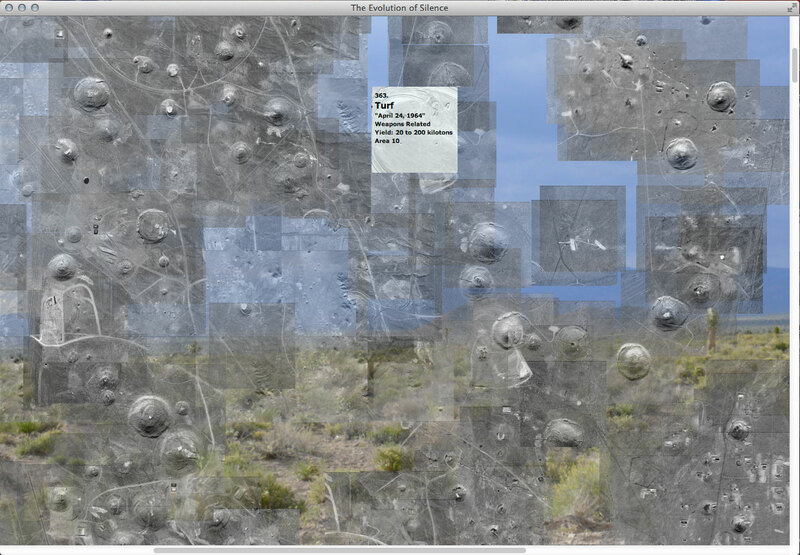 A mapping of all underground detonations in Yucca Flat. I finally finished mapping the sites of underground nuclear tests (still to map are the areas in which atmospheric testing took place). 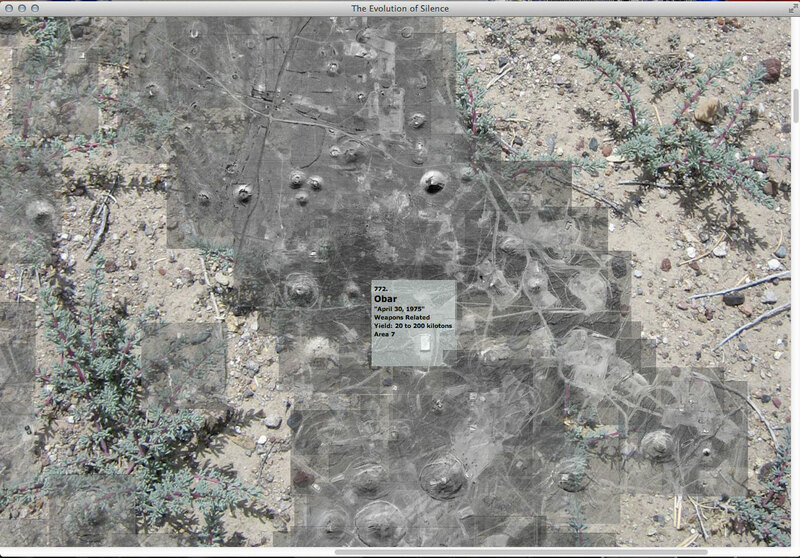 All underground nuclear explosions that took place in Yucca Flat are represented in this map. 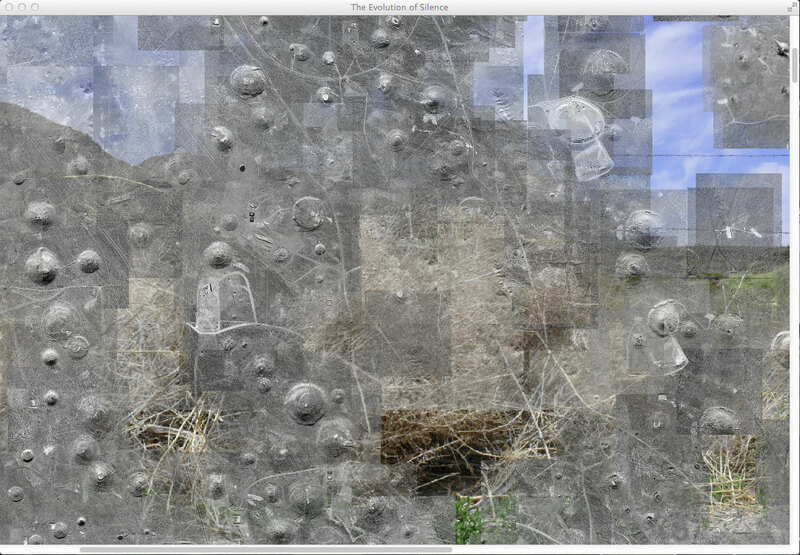 Individual images for each explosion at the exact site of their detonation are tiled together in (what became for me) a giant jigsaw puzzle, to form one aerial view of the valley. Now in geographic relationship to one another, the hundreds of small images come together to give a better sense of scale and convey the character of the valley. 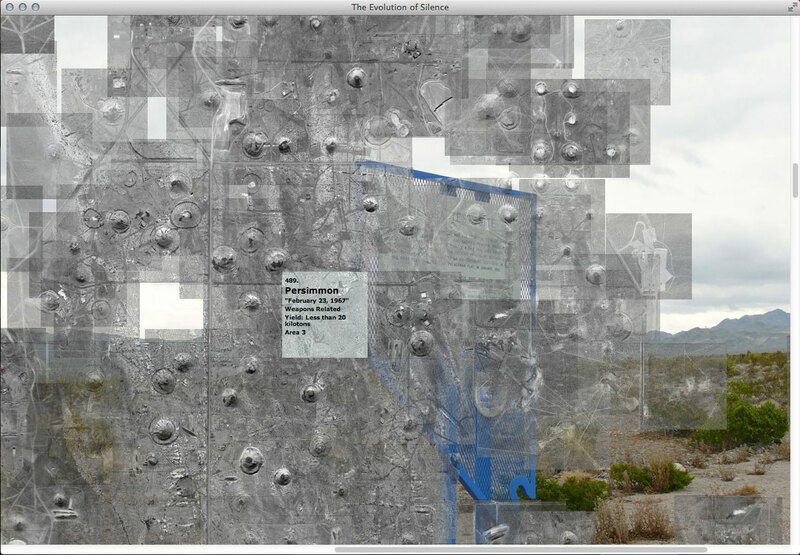 The web-based archive will interpret their ‘x’ and ‘y’ position coordinates (taken from my finished tiled map). 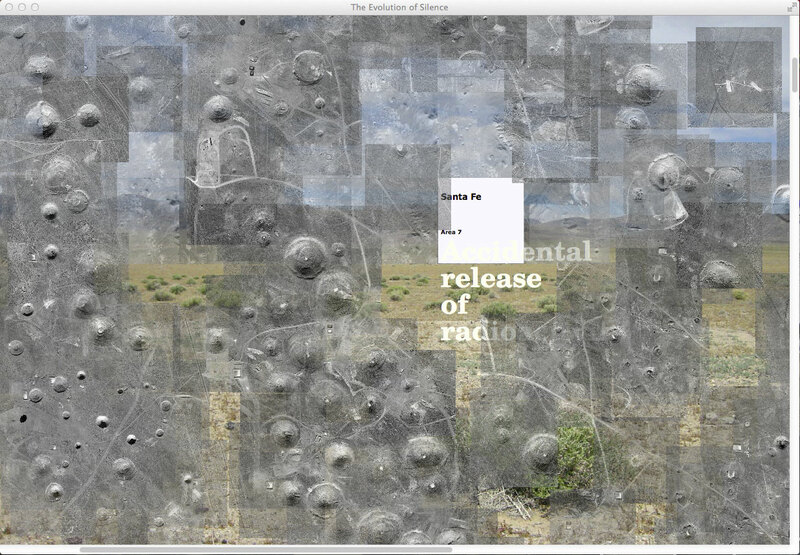 The archive dynamically builds the map again in real time online. 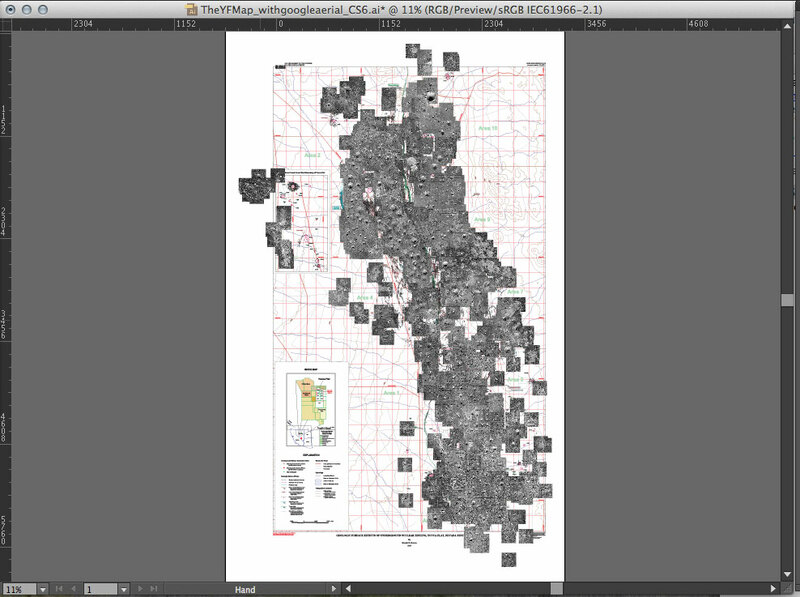 Below are screen shots of the archive running from my local file. It was worth the time it took do the map. 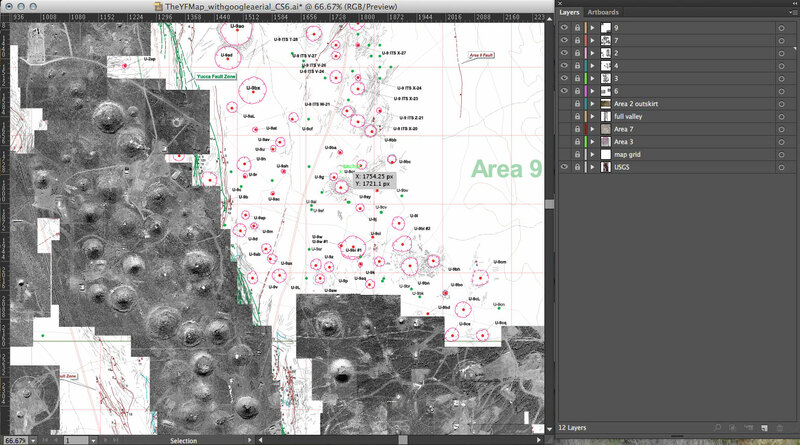 Mapping Yucca Flat, the remaining Areas. I have Areas 9, 10, 1, and 8 to complete. I finished plotting the detonations that occurred in Areas 4, 7, 2, and 3. 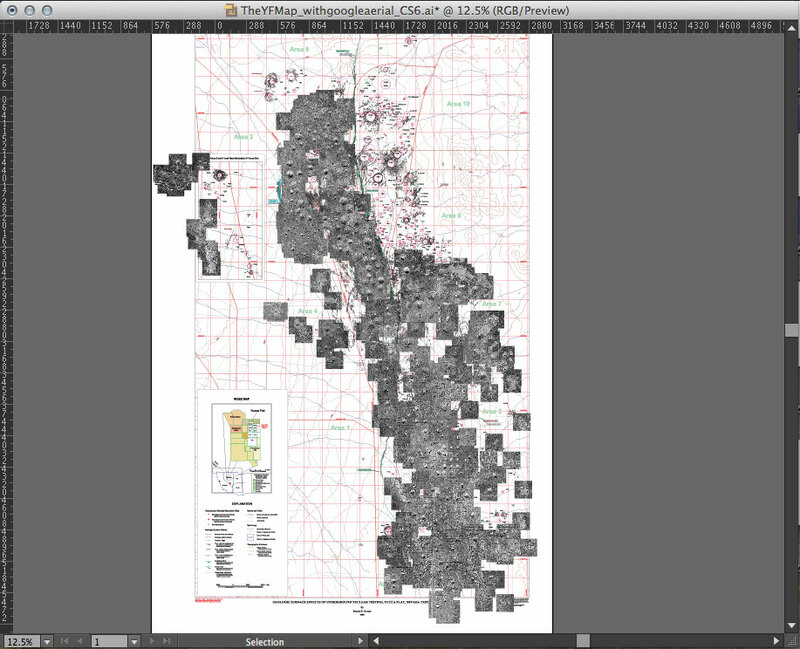 Here are two views of the map in progress.